Twinkly lights, clusters of trees and twisted willow will set the scene this Christmas for Twickenham Stadium's Fairy Tale in New York theme. 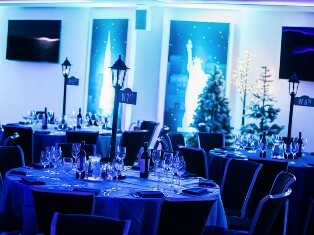 The enchanted setting is inspired by the beautiful trees in Central Park during the winter, and coupled with a backdrop of the New York skyline, Twickenham Stadium will be a truly magical venue to celebrate your Christmas party. 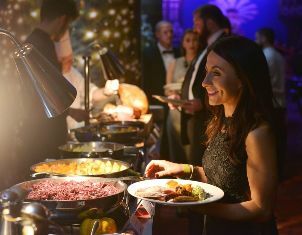 Both private and shared Christmas parties are available to book and each package includes a dedicated event manager to make planning your party that little bit easier. Non-themed parties are also available to book. Get in touch with the team to discuss your 2018 Christmas party! Private parties are ideal for large Christmas celebrations, offering exclusive use of one of Twickenham's themed or non-themed suites. They can accommodate parties for up to 700 people. From £50 +VAT per person. Shared Christmas parties are the perfect option for those who have a small group and want to enjoy the atmosphere of a big party. 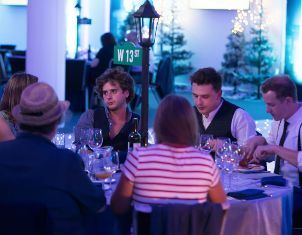 Fancy a more informal Christmas celebration? 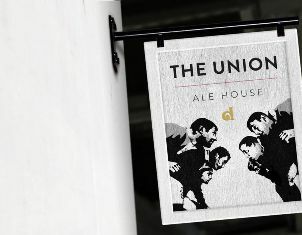 The Union Ale House is a brand new pub situated within the East Stand.